There comes a time when we must say goodbye. So it is with me and a significant slice of computer history – Apple Computer history, to be precise. 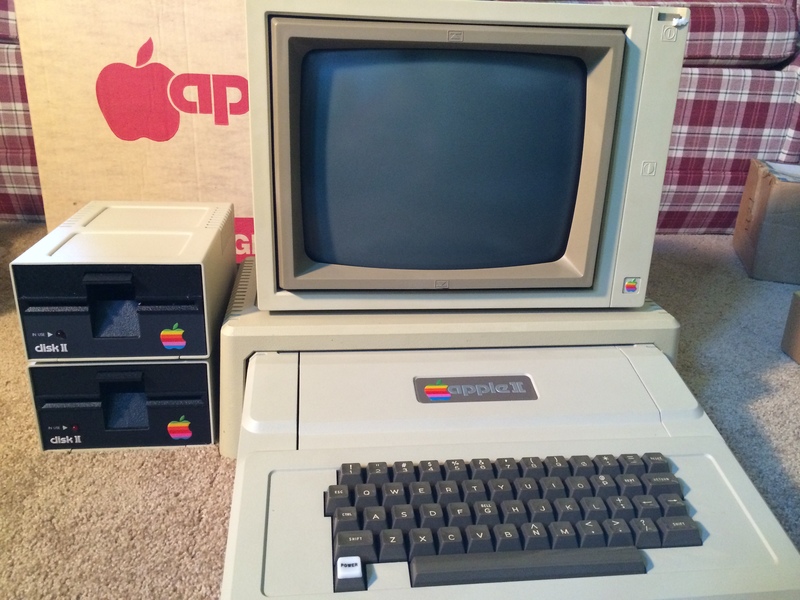 The Apple II computer system I purchased in 1979 at the dawn of the personal computer age must go. It is time to face the fact that my wife and I need the storage space in order to make everyday living bearable these days. My system has been carefully packed away and stored in the garage for many years, now, while I have periodically turned to the newest, latest, most powerful personal computers that have come along. My latest is the Apple MacBook Air laptop which I purchased several weeks ago. I purchased my Apple II in 1979 from a small local computer store (remember those?) here in Sunnyvale, California, called Computer Plus. I still have the original sales receipt, my cashed personal check, and the business card of the salesperson who sold me the system: Mark Wozniak, the younger brother of Apple co-founder and designer of the Apple II, Steve Wozniak! The Apple II was my initiation into the world of computers and computing systems – a realm not served by college and university curriculums in the nineteen-sixties when I was at Stanford – consequently a realm of knowledge which presented us working engineers with a very steep learning curve in the late seventies. Yes, we had the Hewlett Packard HP 35 scientific pocket calculator since 1972 which replaced the old slide rule, but simulating electrical circuit designs on one’s own personal desktop computer was a wholly-different ballgame which required a tremendous learning leap. Such personal engineering computing and the replacement of tubes with transistors in electronic circuits were the two major “leaps” my generation of engineers were required to make in order to stay highly productive… and employable – especially in Silicon Valley. Comparing the Apple II with my newest computer, Apple’s MacBook Air, is somewhat akin to parking a Model T Ford automobile next to a Ferrari. There are similarities between those two cars: They both have four wheels and an engine – that’s pretty much it! Similarly, the two computers also have similarities: They both have electrical circuits for computational purposes, and they both have memory in which to store information. Other than that, it is truly astounding to contemplate the vast difference in capability between the two computers. The Model T Ford compares infinitely more favorably to the Ferrari than the Apple II to today’s computers. Take a bow, Mr. Wozniak and Mr. Jobs; equally astounding is the fact that this has all taken place in less than thirty-five years! The year 1979 marked the beginning of Apple Computer’s tumultuous rise in the fledgling personal computer arena. Aside from hobbyist kits, there were few competitors – Radio Shack’s TRS-80 and the Commodore PET were the most notable. IBM’s “PC” was still two years away. I remember distinctly the dawning of the commercial personal computer age for me: I was an electrical engineer with the Memorex Corporation in 1976. One afternoon, I came across two colleagues examining an advertising flyer in the hallway. One was excitedly pointing out the Commodore PET computer which had just been announced…the first integrated, affordable, desktop PC. 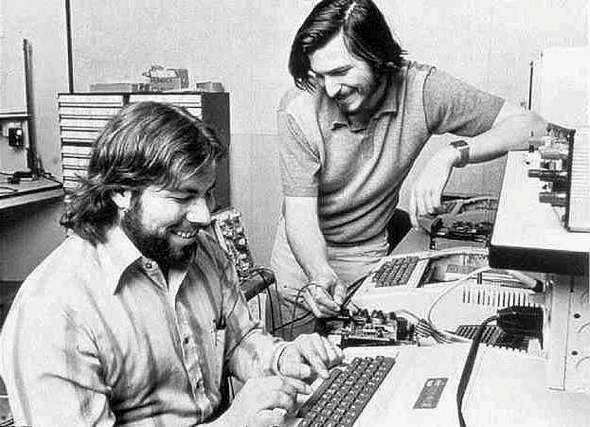 At the same time in 1976, two youngsters named Jobs and Wozniak had, like good surfboarders, anticipated the coming wave and were tinkering with computers in the garage of Jobs’ parents in nearby Cupertino, California. Thanks to their efforts, Cupertino, in the heart of Silicon Valley, was destined to become corporate headquarters of one of the most valuable companies in the world – Apple Computer. Apple is currently uprooting a considerable tract of nearby land to build their huge (and revolutionary) “circular ring” headquarters – in Cupertino, of course. Apple currently occupies a myriad of large and small buildings throughout the Valley region, so space consolidation will surely result. 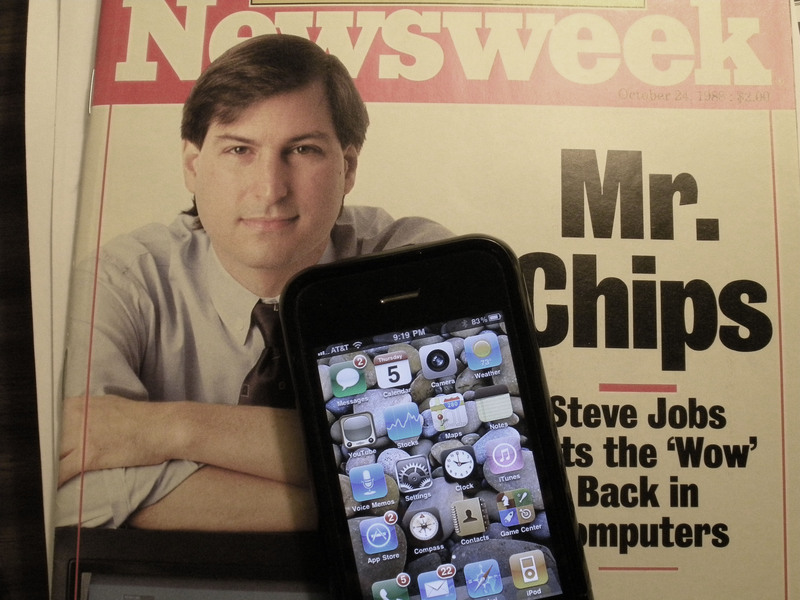 The whole Apple saga and the travels of Steve Jobs – Apple’s corporate visionary – is already the stuff of legends. In thinking about it, only Henry Ford and Thomas Edison come to mind as corporate individuals who have had equal influence on the way we live our lives, today. Other corporate giants come to mind, but not many possessing the flair, foresight, and imagination brought to bear by these three. It is a complete system with matching Apple CRT monitor and twin Apple Disk II floppy disk drives. This, in itself, makes my Apple II very unusual. The entire system is in pristine, working condition – also rare. All boxes, packing, and papers that originally came with the various components are present. I have the original system software cassettes and system floppies as well as a plethora of various Apple Manuals – all in “like new” condition. Also present: The famous Apple II “Redbook” system reference manual. 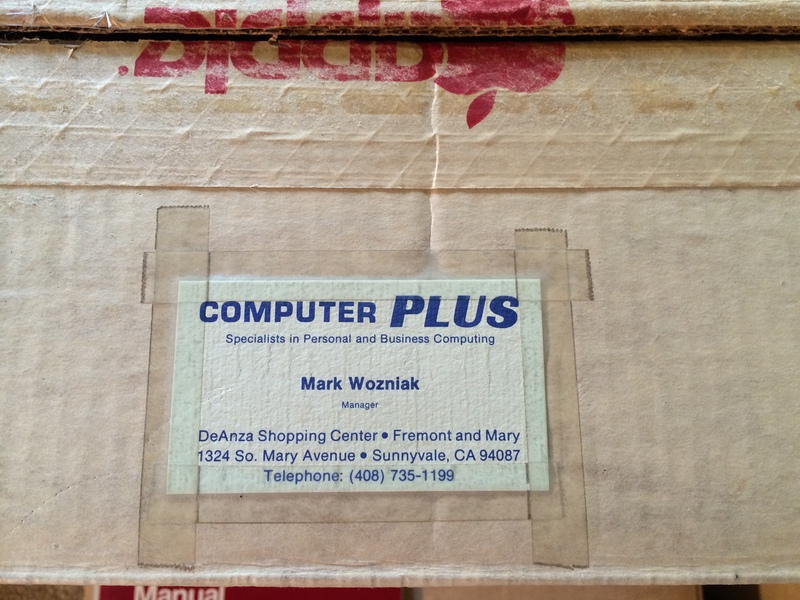 I am the original owner and have the original sales ticket, my cancelled personal check, and Mark Wozniak’s business card from Computer Plus. Basically, I would describe what I have as a one-in-a-million Apple II system which qualifies as far better than museum quality. 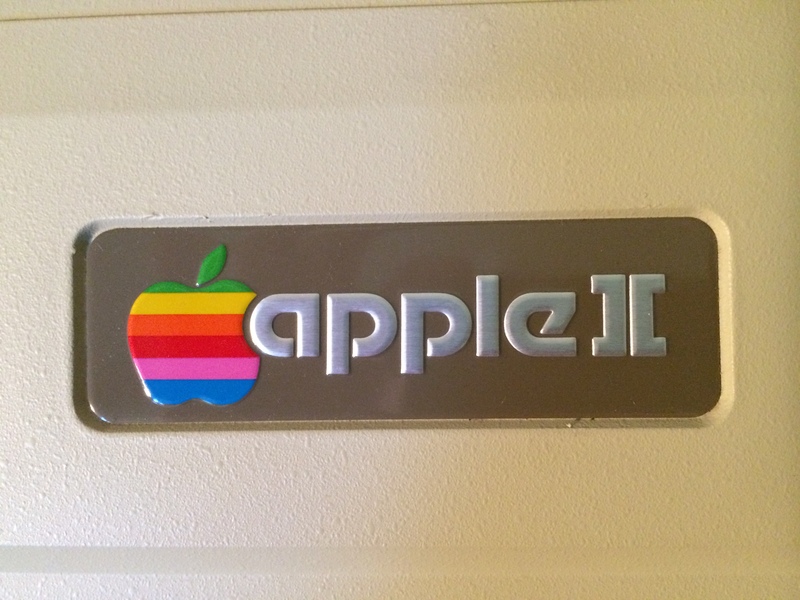 Gee, the more I talk about my Apple II, the more reluctant I become about putting it up for sale soon on E-Bay. I think I’ll wrap up this post right now! There are some things we “just feel in our bones.” I suppose such feelings are nurtured by demonstrated example, perhaps even from something in our genes; such embedded attitudes seem implanted quite early in life. One example of this that intrigues me is the inherent belief that anything worth doing is worth doing well. Some people live their lives framed in that philosophy, while others are consistently content to do enough to “get by” – to just get the job done. Two people come to mind as the ultimate practitioners of “excellence,” Steve Jobs of Apple Computer… and my father! Jobs was a visionary, but one who had the drive and discipline to turn visions into reality – real products that everyone wanted. Why did products such as the Apple II computer, the McIntosh computer, the iPod/iTunes tandem, the iPad, and the iPhone succeed so brilliantly? Because they each served a market looking for a solution….and they worked extremely well at a user/technical level. Steve Jobs was obsessed with the desire to design truly excellent products. His successes were characterized by ease of use (and usefulness), superb reliability, and, equally important, appealing aesthetics – product “sizzle,” if you will. His favorite phrase about these milestone products echoes still: “Insanely great!” He clearly drove his design teams at Apple to constantly strive for product excellence across the board. Jobs did not – could not – do it by himself, of course. Anyone hired under his tenure at Apple had to run a possibly unprecedented interview gauntlet before being asked to join the company. Jobs suffered no fools in the process. When I was an active design engineer here in Silicon Valley, stories circulated throughout high-tech of Jobs’ sometimes brutal and blunt interviewing process for prospective high-level Apple employees. He was looking for the spirit of excellence in the people who would be Apple Computer. If you were not on board in that regard, you did not belong. Certainly, “Bozos” need not bother to even apply! My father was the perfect example of the attitude that the world needs. He was a gentleman perfectionist in all aspects of his life, with only one year of high school (of economic family necessity) who worked his way up the ladder, the hard way, to become a mechanical design engineer at United Air Lines, responsible for much of their ground-equipment in the nineteen-fifties and sixties. Although he gravitated to the more cerebral occupation of engineering, he was also the finest hands-on craftsman I ever knew – extremely skilled at both the design and execution of any project. 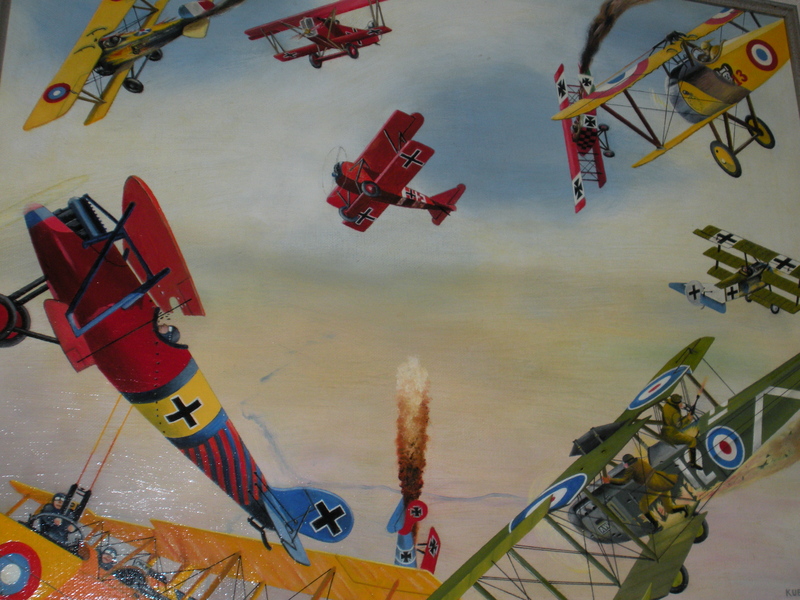 Everything he designed, made, or repaired, was a work of art including his many RC (radio-controlled) model airplanes and his paintings of early aviation. 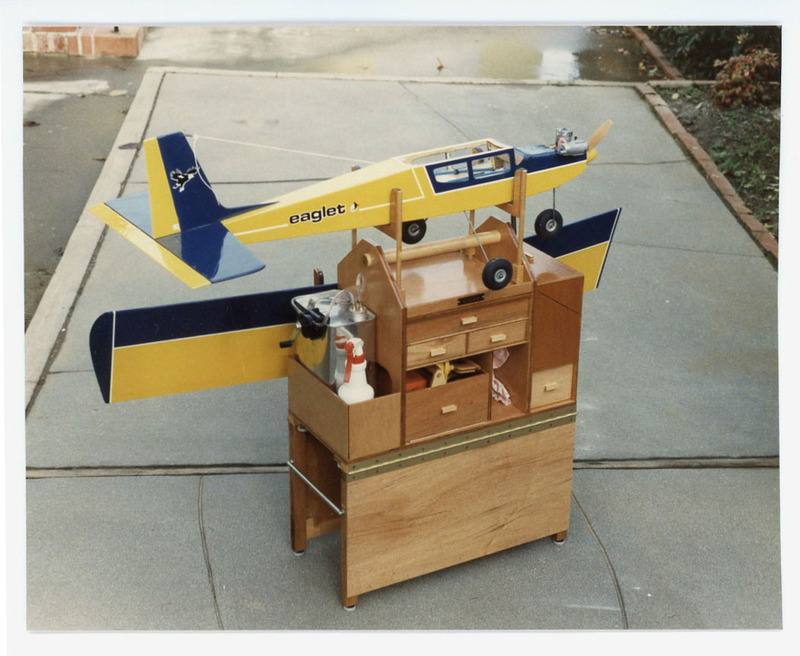 Even his RC work -station which he took when he went flying was designed by him and hand-built – truly a work of art. 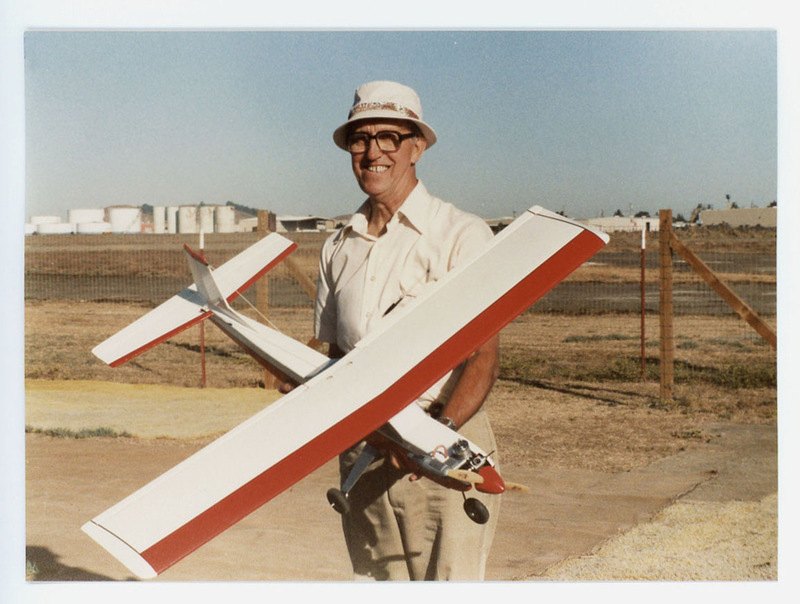 See my blog archives for the post of June 9, 2013, Family Funnies / Great Laughs for more insight on my father and his RC flying. As a youngster growing up, I admired his talent and ability. Most importantly, I took away from his personal history and example a distinct appreciation for work well done, whether a product of the mind or the hand. That appreciation has never left me; I will add that he has been a tough act to follow! Most importantly, Dad respected ANY man or woman of good character who always tried their best and, at least some of the time, produced good results in their chosen endeavor – no matter what their “station” in life. I learned that from him and his example. What does society gain when its members strive for excellence in each and every daily endeavor? First, a more efficient and pleasant existence for all; second, an elevated esprit-de-corps which serves to intensify even further the drive for excellence while promoting the idea that “we must all pull our own weight, for we are in ‘this’ together.” People with a solid work ethic are the folks who make the world go ‘round – no matter what their occupation or their so-called “level” in society. My father was able to overcome great obstacles early in life and enter the engineering profession. Not everyone can do what he did. He truly believed that each and every one of us should be judged more by the attitude and effectiveness we bring to whatever activities and profession we embrace than by our ultimate “station in life.” The true dignity of a person and their profession is far better reflected by one’s character and efforts to excel at their work than by the perceived “status” of the profession itself. A janitor who can add value by demonstrating an ability to repair things on the job and make constructive suggestions while efficiently and effectively fulfilling the typical job description is someone to be admired as opposed to one who knows and cares only how to empty trash cans and vacuum floors. My wife is a retired schoolteacher from the Catholic schools. During her years on her school faculty, she came to know one or two of the custodians very well, men who always went the extra mile, were always there to help, and were willing and able to make helpful suggestions to the teachers. “That’s not in my job description” was an attitude never heard. These men earned and received great respect from the faculty and were treated as important members of the staff. Speaking of janitors and the work they do, it saddens me to go into a McDonalds or a Starbucks and observe over-filled trash bins and restrooms with papers strewn all over the floor. I hasten to point out that this problem is not unique to these two businesses; rather it is becoming more the rule than the exception out there. My immediate reaction is two-fold: Why is the public so careless, and why doesn’t the staff take more pride in their premises? Frankly, of the two parties involved, I come down harder on the public at large which seems to have less and less respect for property and for those who operate it. If all patrons would do their part and pick up after themselves, the world would be a better place – not just cleaner, but more civil. How many times have you seen take-out food and beverage containers sitting forlornly in the middle of a parking lot, the consumer too lazy and uncaring to take their trash with them? Respect is a two way street. I respect those who make an honest effort to do their part and shoulder their responsibilities every day no matter what their “station” in life. As for those who just do not care: Grow up and earn some respect! I make it a point to single-out and praise anyone who is providing special service or delivering a job well done. Tipping at restaurants is the usual way to cast your vote on the service, but why not tell an outstanding server verbally how you appreciated their attitude and service as well? Years ago, we had some very stubborn wallpaper removed at a fixed price determined ahead of time. The company sent out one of their workers (not the one who bid the job!) who soon discovered that removing this wallpaper was not at all a typical effort. The guy worked like a beaver the entire day, sweating heavily the whole time – always cheerful. I was so impressed with his energy and positive attitude throughout that I tipped him $100 for his efforts. I suspect he was paid not much more than that by his employer. He was surprised and pleased that I validated the dignity and worth of his efforts in such a way. I was pleased to observe that the work-ethic was alive and well and was pleased to reward it. Michael Faraday from London, England rightfully deserves that honor…and much more. Faraday was the greatest experimental physicist of all time, and a first-class chemist as well during a period when the sciences of chemistry and electricity were still in their infancy. 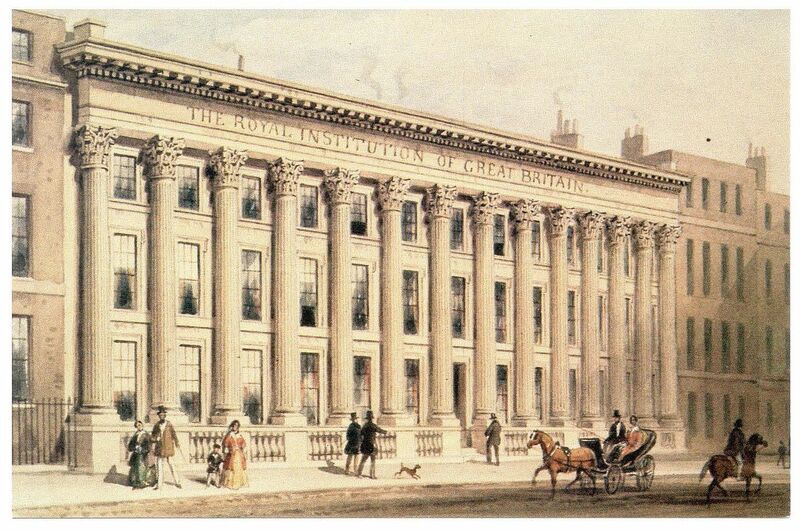 His laboratory (and place of residence) for the years 1813 to 1862 was the unique Royal Institution of Great Britain, one of the first organizations dedicated to professional scientific research and to the dissemination and application of science – for the benefit of society. Founded in 1799 at 21 Albemarle Street in the fashionable Mayfair District of London, it is still there today – in the very same building! It remains an important player in the international scientific scene. As amazing as that may seem, the story of Michael Faraday is even more incredible.Coming from a childhood of poverty in London and a family background steeped in the trades and poorly educated, young Faraday was apprenticed at age twelve to a Mr. Ribeau, a London bookbinder. Seemingly headed down the same path of life as the generations in his family who came before him, young Michael learned the bookbinding trade and supported his widowed mother throughout his teen years. By taking the initiative to read portions of the many scientific tomes brought by wealthy Londoners to be fashionably bound for their libraries, young Faraday’s curiosity about the physical and natural world burgeoned, instilling a burning desire to eventually acquire a “position” somehow connected with science – any position! The Incredible Ascent of Michael Faraday: Fact IS Stranger Than Fiction! If true stories about people overcoming incredible odds and achieving great results fascinate you, I suggest that the story of Faraday’s ascent to international scientific renown and his lasting influence on science – and our lives today – cannot be topped. Please read on. 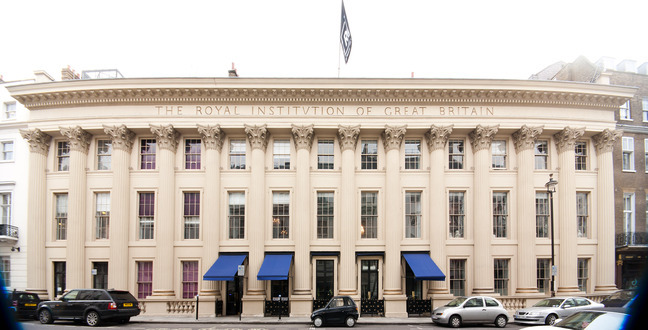 In 1812, a wealthy, well-connected Londoner and an original life-time subscriber to the then-fledgling Royal Institution bestowed an act of kindness which would dramatically change Faraday’s life and the path of science itself. As a frequent patron of Mr. Ribeau’s bookbinding shop, George Dance developed a liking for the earnest, industrious young Faraday. 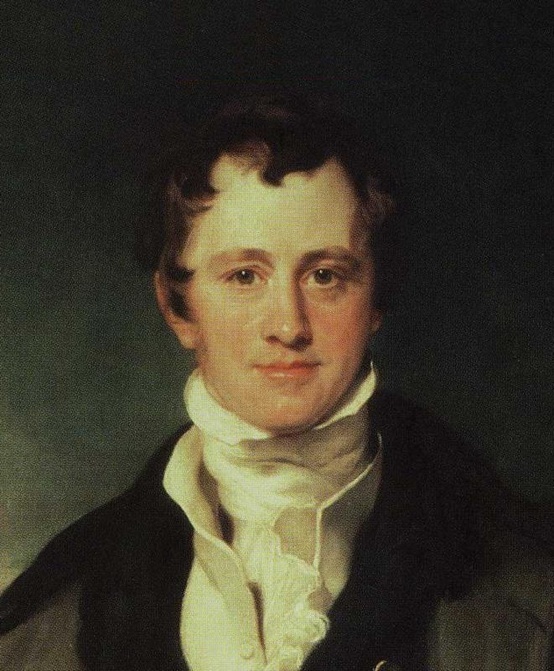 He presented young Michael with tickets to a series of four scientific lectures at the prestigious Royal Institution, to be delivered by the premier young chemist of the time, Sir Humphry Davy, a member of the Institution’s small staff. Davy’s brilliant lectures always attracted a full-house – a mix of scientific types and the “nouveau learned” among London’s fashionable set, anxious to at least taste and rub elbows with the latest developments in science. Young Faraday devoured the lectures making copious notes and diagrams of all the fine points. 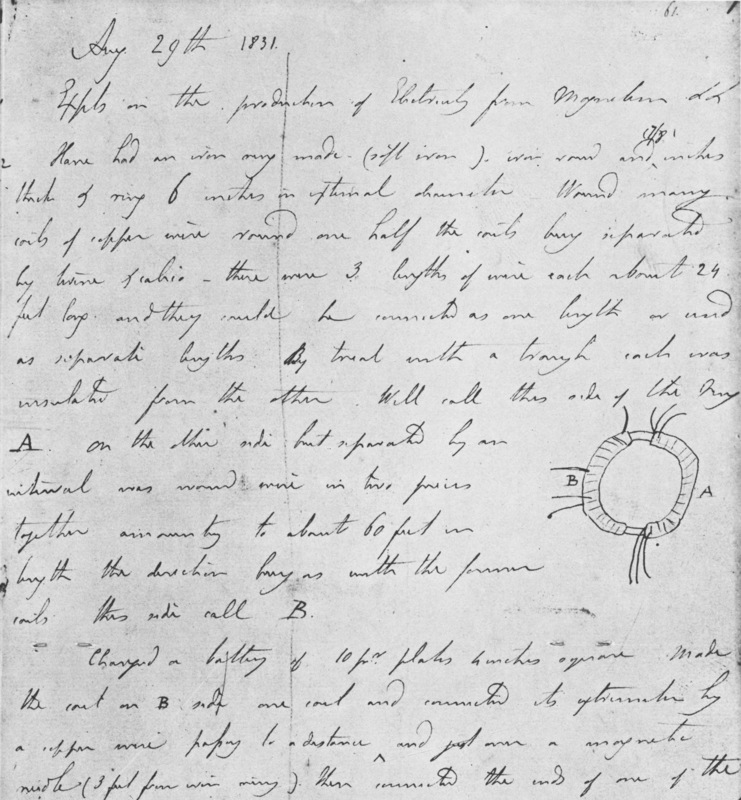 He proceeded to professionally bind these into a thick volume which he sent to Davy along with a letter introducing himself and declaring “My desire to escape from trade, which I thought vicious and selfish, and to enter into service of Science, which I imagined made its pursuers amiable and liberal…” Davy, impressed by the young man’s initiative, wrote back, and, in Faraday’s own recounting, “He smiled at my notion of the superior moral feelings of scientific men and said he would leave me to the experience of a few years to set me right in the matter.” Davy had obviously come face-to-face with the less altruistic aspects of a career in science during his own recent, very rapid rise to fame. His warnings to young Faraday proved disappointingly appropriate as we shall see shortly. 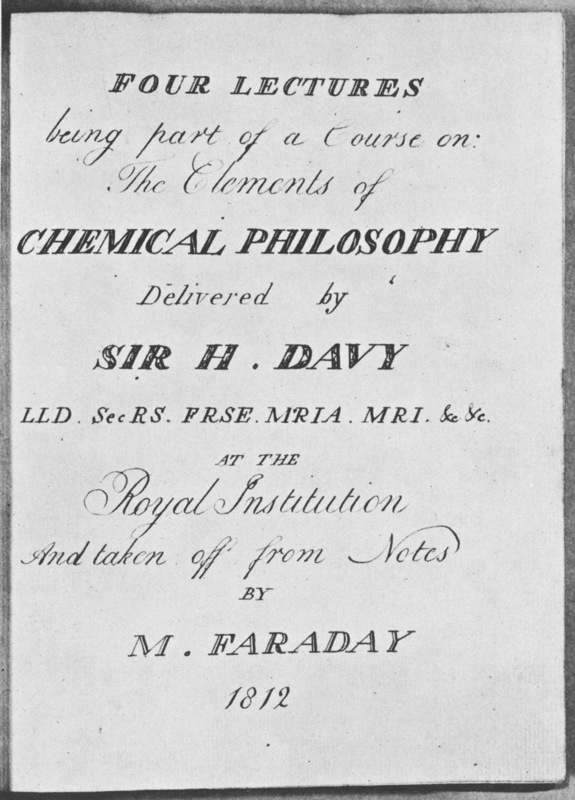 In January of 1813, the position of laboratory assistant at the RI became vacant, and Davy gave Faraday the job after interviewing him at the Royal Institution in February. Faraday was thrilled to be working with the great Sir Humphry Davy even though the title of “lab assistant” was much closer to “bottle/test-tube washer and general gofer” than true research assistant. After all, although bright and ambitious, Faraday had but several years of grade-level schooling, and no mathematics or scientific training whatsoever. 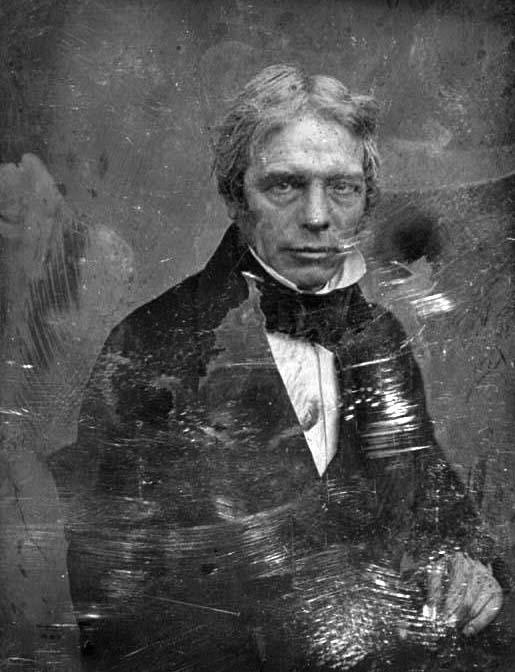 Within several short years from his humble beginnings, Faraday was doing his own important, original research in chemistry and the relatively new science of electricity while building himself a growing scientific reputation for skill and ingenuity in the laboratory. In one of the great sorrows of science-history, his former superior and mentor, the great Davy, somehow felt personally threatened by Faraday’s absolutely unpredictable ascent into Davy’s scientific stratosphere. He tipped his hand by being the only voting member to register a blackball against Faraday’s proposed membership to The Royal Society of London, the most prestigious scientific body in the world – at one time presided over for many years by the great Isaac Newton, himself. Davy thoroughly respected Faraday and his hard-earned credentials; his only apparent reason for the blackball stemmed from his belief that Faraday had somewhat plagiarized a colleague’s work on “electromagnetic rotations” – the first working electric motor. The facts are fuzzy as often happens in cases of scientific priority, but as ambitious as Faraday was scientifically, he was scrupulously honest, maintaining his humble demeanor despite his escalating fame and reputation. For all his genius, Davy had his quirks. The history of this sad event contrasts, in stark relief, the polar opposite personalities of the mercurial, proud, and ego-centric Davy as compared with the steady, humble and gracious Faraday – “the saint of science” if ever there was one. Sadly, Davy may have known himself all too well when he cautioned Faraday earlier about the notion of “superior moral feelings” where the practice of science is concerned. Faraday took the unwarranted blackball from Davy stoically, always preferring to remember Davy to others as the great scientist he was and the man who gave life to Faraday’s dreams and talent. Davy’s colorful life and story warrant a separate blog post of its own, and, because I have studied them both extensively, I will probably write one. Despite Davy’s numerous and important contributions to science, it has been said that his greatest discovery was Michael Faraday! Who could argue? What Were Faraday’s Contributions to the Fledgling Science of Electricity? Here is the succinct answer: He demonstrated in 1821 how to convert electrical energy into the mechanical energy of motion – the first working electric motor; in 1831, he showed how to convert the mechanical energy of motion into electrical energy – the electric generator! The experiment connected with the first practical electric generator (which he built) was conducted by Faraday in 1831, and is known as his discovery of electromagnetic induction – the principle of the ubiquitous electrical transformer. 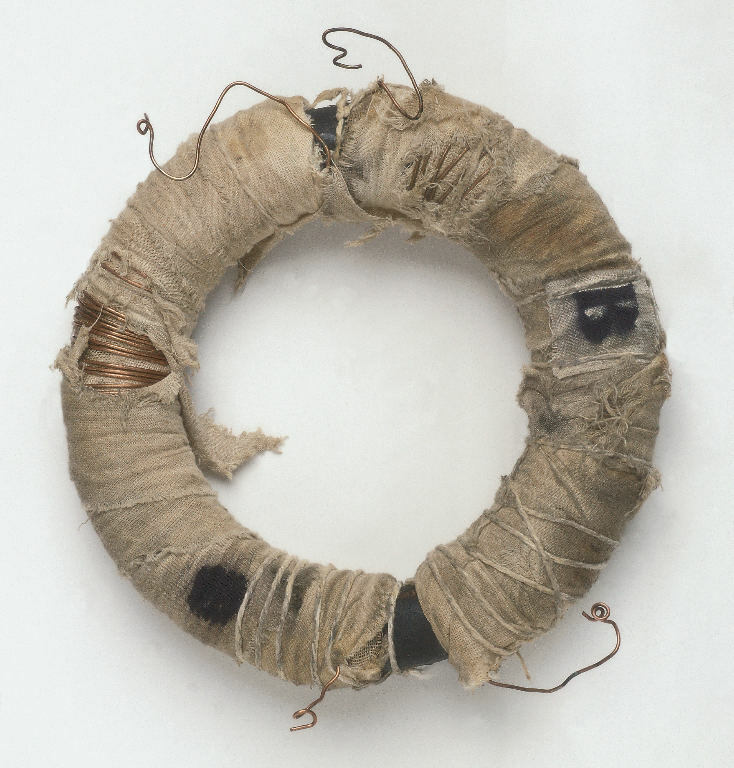 Basically, the transformer is a pair of physically separate, mutually-unconnected coils of wire wound on a common iron core. When electrical current changes in one of the coils, a voltage is generated in the second coil and an electrical current results if that coil is part of a closed electrical path. Note that I underlined current changes, above, for no voltage is induced in the second coil when the current in the first is held constant. It was Faraday’s insight and experimental genius that allowed him to make that critical observation after so many researchers, including himself, had failed by merely looking at the steady-state effects of an applied current. The reason we have AC (alternating voltages and currents) and not DC (direct, or constant voltages and currents) supplied to our homes is due to our ability to transform them up and down in level for efficient power transmission and distribution using transformers which operate on Faraday’s law of electromagnetic induction. I have the actual 1831 printing of his scientific paper which appeared in the Philosophical Transactions of The Royal Society. For the layman, Faraday’s findings sound mysterious, though rather simple, but their ramifications form one of the bedrock pillars not only of our electric power distribution systems, but also of the great technologies which have historically stemmed from the geniuses at Bell Labs, RCA, IBM, and countless high-tech companies domiciled here in Silicon Valley, California and elsewhere. All right, enough already! I can sense the glaze-over effect surfacing in some of you. I understand, but I did want to impart more than merely a handful of technological buzz-words to you, my faithful readers who have come this far. 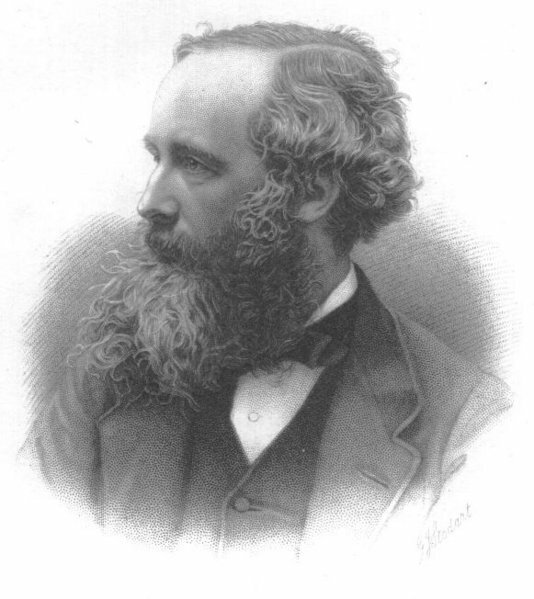 Unlike Faraday who so keenly penetrated the natural world knowing essentially no mathematics whatsoever, Maxwell was a well-educated physicist/mathematician; his work on electromagnetics during the 1860’s was truly the foundation for ALL and I do mean ALL of our communications technology. His mathematical prediction of propagating transverse electromagnetic waves through space in 1865 (radio, in essence) predated the first experimental verification of such in 1887 by Heinrich Hertz. Although Faraday could not possibly follow the vector calculus formulated by Maxwell to describe electromagnetic phenomena, it was Faraday who came up with the initial concept of “lines of electric and magnetic force” in space which Maxwell went on to describe and quantify mathematically. Maxwell met Faraday when the great man was in his last years to show his great respect, graciously giving him credit as the ground-breaker for the magnificent edifice that Maxwell ultimately erected. Maxwell’s name, like Faraday’s is little-known outside of science and engineering….but those two individuals have impacted society –indeed civilization – in profound ways, ways too numerous to list. I first saw them there in 1979 while attending a week-long engineering seminar, and I was thrilled. Along the upper carapaces of the imposing buildings of the Massachusetts Institute of Technology at Cambridge, Massachusetts, one sees the names of scientists chiseled in appropriately bold letters. EINSTEIN, NEWTON, DARWIN, MAXWELL, and, yes, FARADAY are prominently visible there. They, and the others emblazoned and honored there, were the truly great ones – the immortals. Perhaps the ultimate endorsement of Faraday’s place in science is the fact that, at one time, three scientific portraits hung in Albert Einstein’s study: Newton, Maxwell, and Faraday. As prolific and important as Thomas Edison’s inventions were to the harnessing of electricity and the development of the electrical age, he was an inventor/technologist, not a scientist. It is absolutely certain that without the scientist’s grasp of nature’s laws, there can be no real technology. Great inventions are drawn from great discoveries in science. As for hands-on ability in the laboratory: Despite his great abilities, Edison would surely take a back seat to Faraday, the world –class physicist who did it all without the aid of mathematics by relying on superb intuition and powers of observation. In tribute to his lab technique and experimental skill, I would wager that Faraday broke few test tubes and other pieces of apparatus during those many years in the laboratory. Stories abound of otherwise great scientists who were decidedly unwelcome in the laboratory because they broke everything they touched! 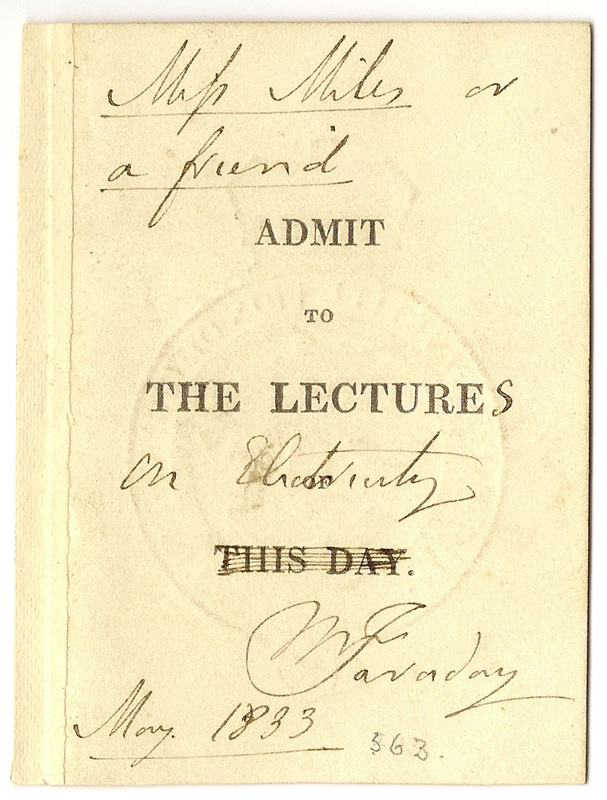 One of his best-known lectures was among his last, part of the annual Christmas Lectures delivered by Faraday around Christmas time, 1860 when he was in his seventieth year, near retirement, and already suffering from loss of memory. Published in March, 1861, The Chemical History of a Candle has been continuously in print (in English) since that time. It has long been considered a classic in popular science exposition; in its pages, Faraday analyzes the physical and chemical combustion processes of a burning candle in terms that even the scientific neophyte can understand…and enjoy. If I have piqued your interest and curiosity with this post, and you would like to better understand how a scientific virtuoso such as Faraday views nature, expressed in terms suitable for his “popular” lectures, take a look at this little book. I just purchased a nicely printed new edition from the Oxford Press. There is a good reason for its longevity in print.